Martha Berry writes to Mrs. Green, apologizing that she does not have a place for her, and sends her best wishes for finding another place of employment. 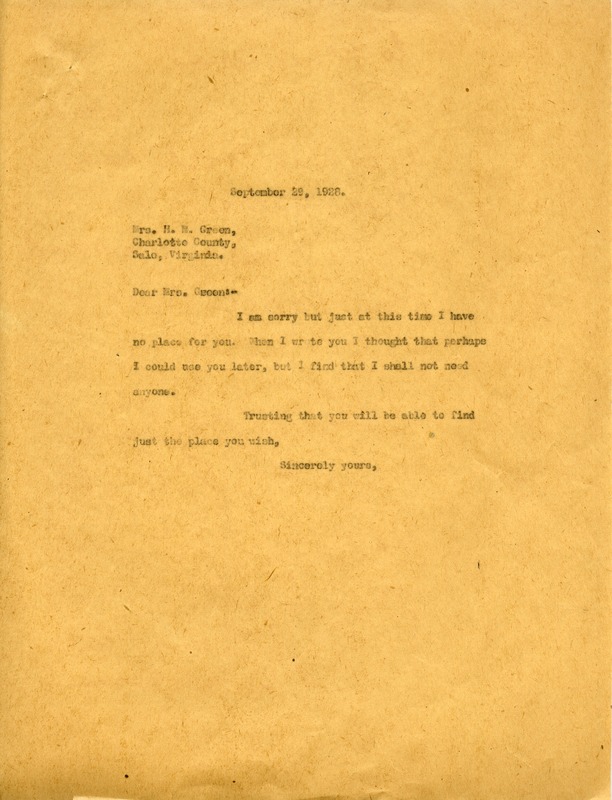 Martha Berry, “Letter to Mrs. H. N. Green from Martha Berry.” Martha Berry Digital Archive. Eds. Schlitz, Stephanie A., Chelsea Risley, et al. Mount Berry: Berry College, 2012. accessed April 20, 2019, https://mbda.berry.edu/items/show/7648.